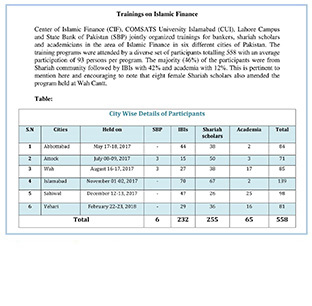 CIF organized training on "Fundamentals of Islamic Finance" in collaboration with Bank Islami at CUI, Sahiwal Campus on February 19,2019. CIF organized training on "Fundamentals & Practices of Islamic Banking" at CUI, Wah on January 10, 2019. CIF organized training on "Fundamentals of Islamic Banking" on December 20, 2018. CIF organized training on "Fundamentals of Islamic Banking" on November 13, 2018. 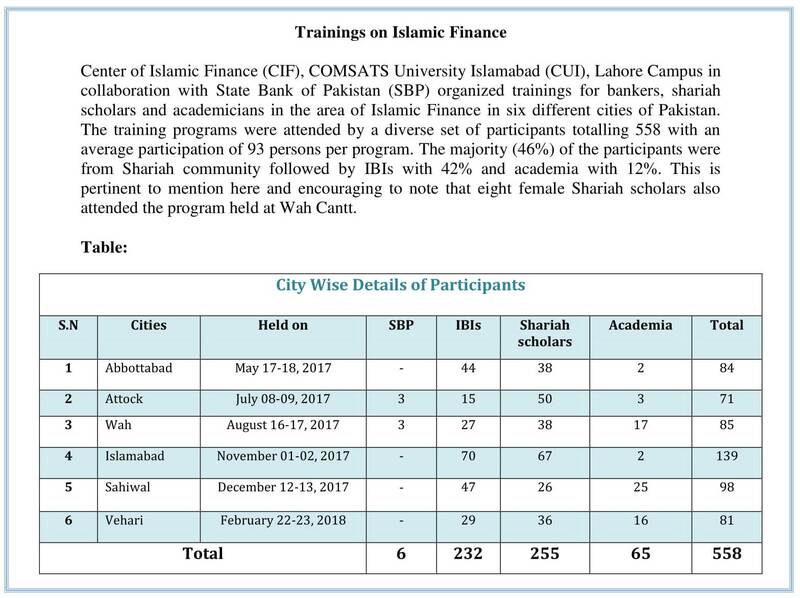 CIF organized training on "Fundamentals of Islamic Banking" on October 30, 2018. 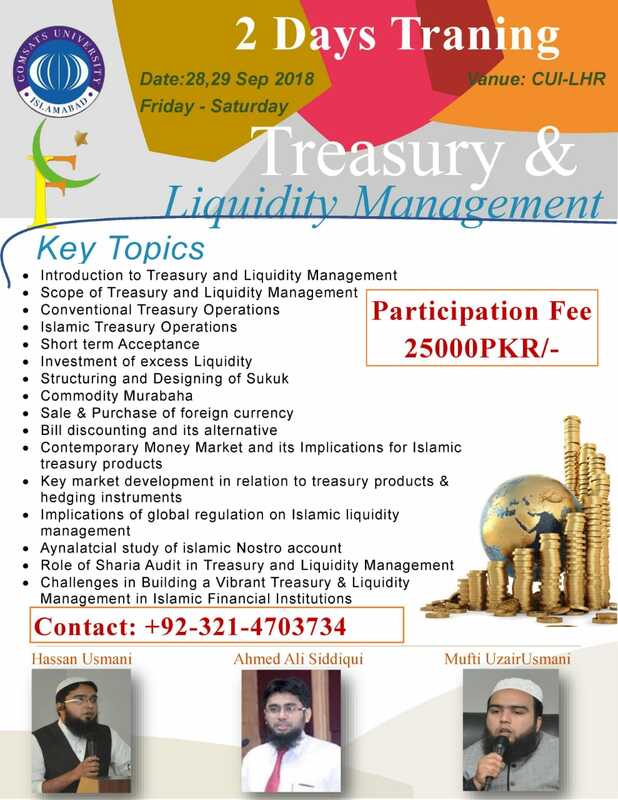 CIF organized two days executive training on “Treasury and Liquidity Management in Islamic Financial Institutions” on September 28-29, 2018. CIF organized Workshop on "Understanding Zakat calculations for business and utilization in welfare organizations" with the Collaboration of Centre for Islamic Economics (CIE). 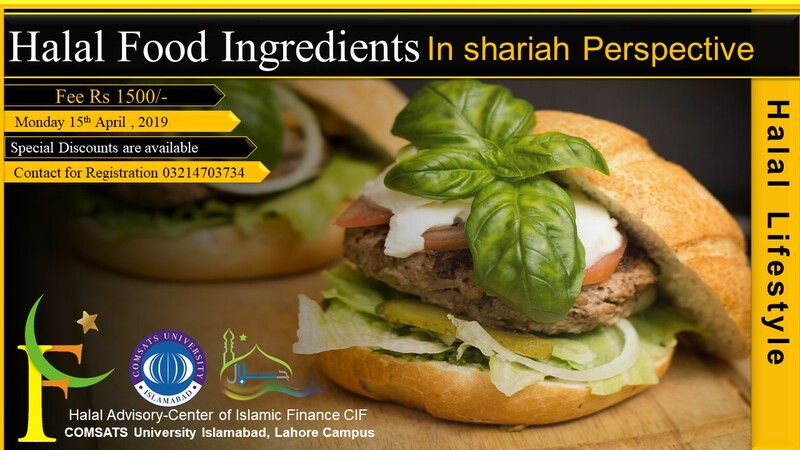 Workshop on "Shariah Principles for Halal Food" at CUI Lahore. Chief Guest & Guest of Honor at Opening Ceremony of GFIF 2018. 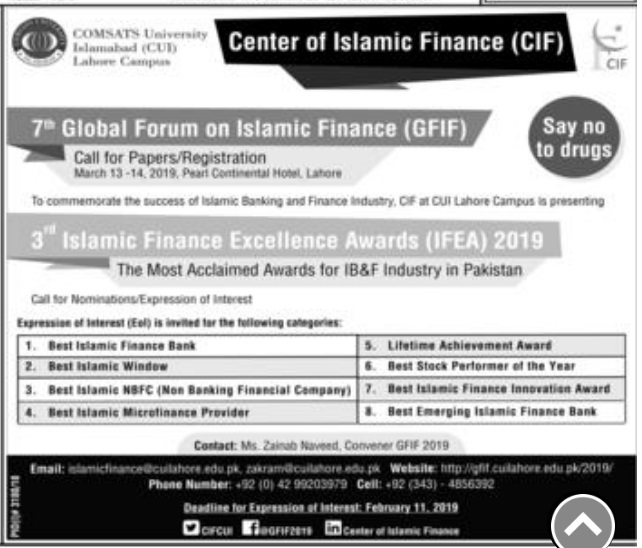 "Lifetime Achievement Award in Islamic Finance " "Dr. Amjad Saqib, Founder/Chairman Akhuwat"
"Best Islamic Non-Banking Financial Company (NBFC) 2018” to "First Habib Modaraba"
"Best Islamic Finance Innovation Award" "Awwal Modaraba Management Limited "
"Best Islamic Real Estate Investment Trust (REIT) 2018" "Arif Habib Dolmen REIT Management Limited"
Fifth SBP-CIF Capacity Building Workshop on Islamic Finance at CUI Sahiwal. Participants of Second SBP-CIF Capacity Building Workshop on Islamic Finance at CUI Attock. 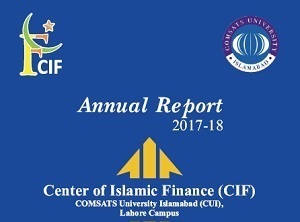 The Center of Islamic Finance (CIF) at CUI Lahore is primarily a research platform for engineering the Shariah compliant scientific and knowledge solutions in the field of Islamic Finance in collaboration with regulators, industrial practitioners and Islamic scholars at global horizon. It also offers trainings for professionals in this emerging industry. CIF supplements the 1.5 years MBA with Islamic Finance specialization. MS and PhD programmes will be available in near future. 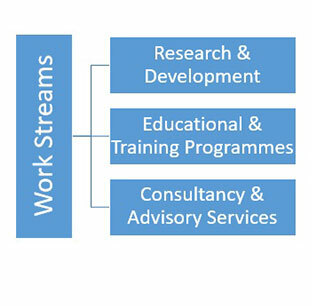 It organizes various events for R & D and knowledge exchange. The most prominent annual event is Global Forum of Islamic Finance (GFIF) where experts from all over the world gather to share the advancements in the field.